The grand prize for Fall (through November of 2018) is a $200 Amazon Gift Card … get started early on your Christmas Shopping! The winner will also receive a Frankie Love Swag Bag with a signed copy of TIMBER. 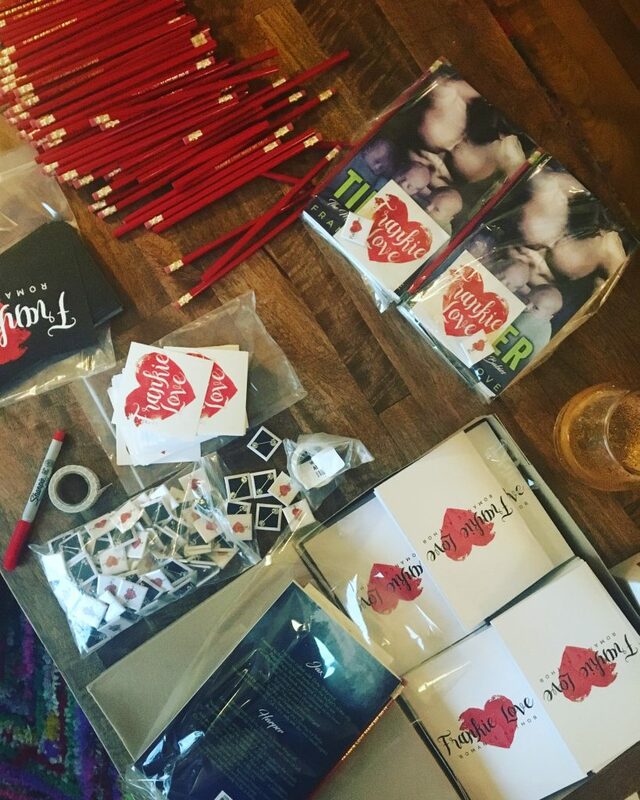 10 runners up will receive a Frankie Love Swag Bag with a signed paperback of TIMBER along with a notepad and pencil, and other lovely things! CONGRATS to our Fall Giveaway Winners! I love reading your work so much. Thank you for the hours of joy I get from them. I love your books so much!!!! I have literally not found a one book I haven’t liked. You are the best!! You are my favorite author! Thank you for doing what you do! Congrats on the website launch! It’s lovely!! I love all your books and always get so excited when a new one comes out! Thank you for you amazing, heart warming, and funny stories! I Sooo enjoy reading your books, your Mountain Man books absolutely “Do it for me”, they take me to the beautiful mountains and just wash my worries away, it’s my “great escape”! Great website. Love your books. TIMBER! When I’m in between books and not sure what direction I want to go in (shifter, insta-love, alpha, reverse harem, sweet cowboy). I turn to one of your books that are in my library. I also have you to thank for leading me towards other writers and genres (reverse harem and dystopia). I love all your books but I think my faves are your Charlie Hart ones. I want to drop a line and say thank you for your hard work. You are an excellent author and I enjoy all of your books. I look forward to many more. Pat yourself on the back for a job well done. OMG! Love your new website! It’s amazing! Love it almost as much as your books! Thanks for the wonderful stories! Thanks for the chance!! I got hooked with Ace! Thanks for the opportunity of the giveaway!! I love all your books!! Love your books. Thank you for the opportunity. Just started reading your books and am loving them. I love reading your books . you’ve become one of my favorites instantly.